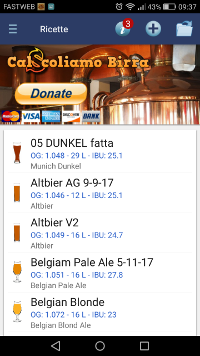 Calcoliamo Birra It is the free software for Android operating systems that allows you to design beers. This is a homebrew calculator, you can create, calculate and store beer recipes. 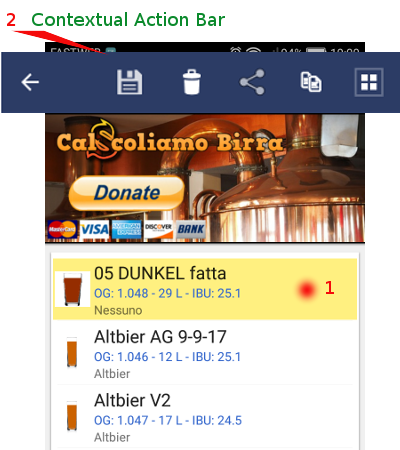 The Calcoliamo Birra app allows a meticulous setup, so that it can be adapted to any system and technique used to make beer: All Grain Classic, All Grain BIAB, Partial MAsh, or E + G.
Complete the software with a large database of Fermentabili, Luppoli and Lieviti, constantly updated. If the raw materials you wish to use are not present, it is possible to insert customized raw materials, malt hops, sugars and flakes. 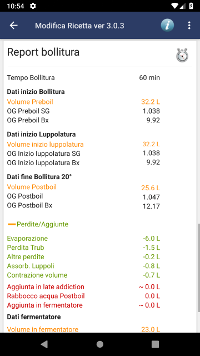 Calcoliamo Birra provides all the data necessary for the design, such as boiling volume, OG, FG, IBU, The BU / GU, RBR and ABV report, and calculate plant efficiency. It also calculates the volumes of Mash, sparge and total water, and boiling volume. Also you can compare our beer recipe with the parameters of the BJCP, in order to evaluate the correspondence to the style of beer that we want to achieve. Other small minor additions that will indicate from time to time.